The DHT11 temperature and humidity sensor is a nice little module that provides digital temperature and humidity readings. It’s really easy to set up, and only requires one wire for the data signal. These sensors are popular for use in remote weather stations, soil monitors, and home automation systems. 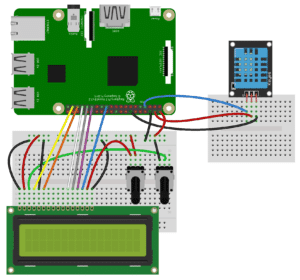 Programming the DHT11 and connecting it to a Raspberry Pi is pretty simple too. 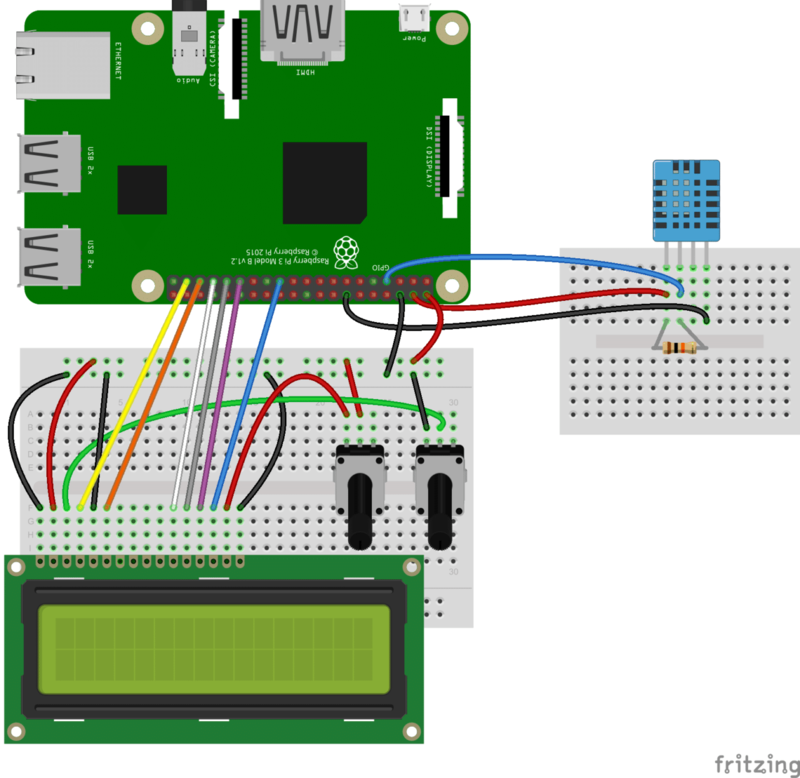 In this tutorial, I’ll show you how to connect the DHT11 to the Raspberry Pi and output the humidity and temperature readings to an SSH terminal or to an LCD. Then I’ll give you some example programs for programming it with either C or Python. We have another tutorial on the DHT11 for the Arduino that goes into detail on relative humidity and how the DHT11 measures it. 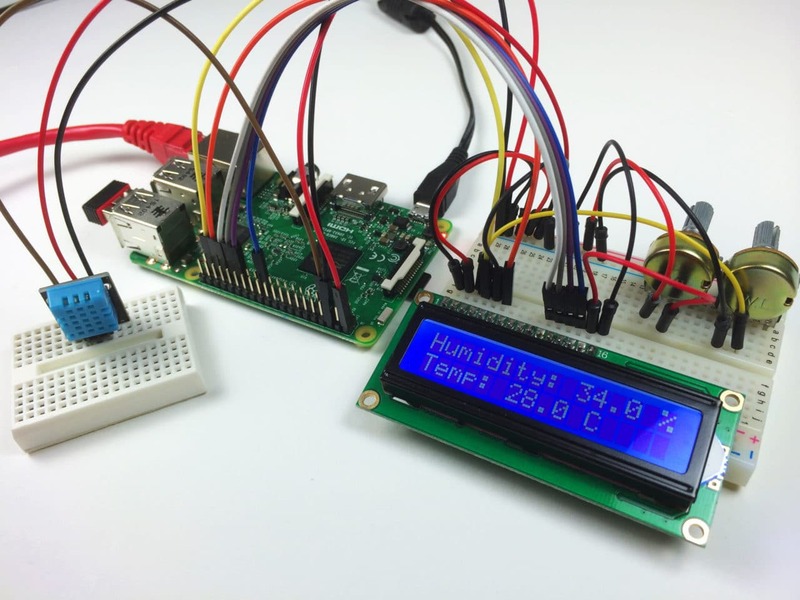 So instead of repeating all of that here, check out How to Set Up the DHT11 Humidity Sensor on an Arduino, then come back for the specifics on setting it up on the Raspberry Pi. But just to quickly summarize… The DHT11 has a surface mounted NTC thermistor and a resistive humidity sensor. An IC on the back of the module converts the resistance measurements from the thermistor and humidity sensor into digital temperature (in °C) and relative humidity measurements. Also, some of the PCB mounted modules might have a different pinout than the one above, so be sure to check your sensor for any labels indicating which pin is Vcc, ground or signal. The resistor is a 10K Ohm pull up resistor connected between the Vcc and signal lines. 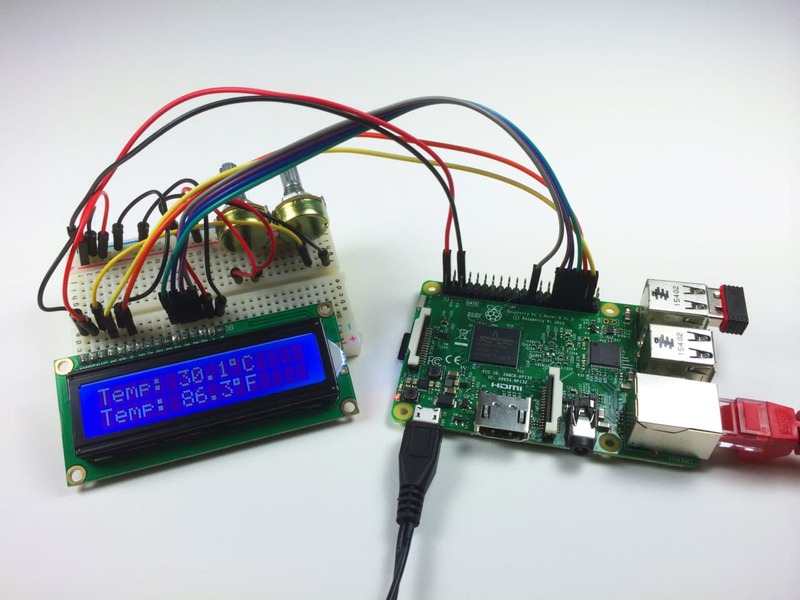 I’ll explain how to use both C and Python to get temperature and humidity from the DHT11, so you’ll be able to incorporate the DHT11 into pretty much any existing RPi project. We’ll be using WiringPi to program the DHT11 in C. If you don’t have WiringPi installed already, follow this link for instructions on how to install WiringPi. For temperature in Celsius, un-comment line 72, then comment out line 73. 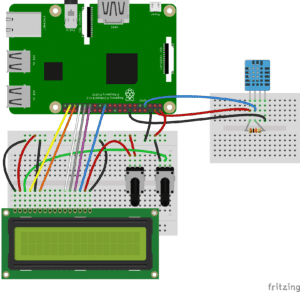 To find out more about how to control text on an LCD with C, check out How to Setup an LCD on the Raspberry Pi and Program it With C.
Also, check out Raspberry Pi LCD Set Up and Programming in Python to see how to do things like scrolling and positioning text. I received my DHT11 yesterday. Perfect timing ;-) Thank you for this awesome tutorial, keep it up ! Isnt it better to use DHT22? Any updates on the Adafruit code? No updates that I’m aware of… Just tested this on 3-24-17 and it still works. Maybe your internet was disconnected or there was a problem downloading the library? This error occurs when running the code from within the cloned the Adafruit_DHT directory. Is there a easy fix for this or could anyone tell me what these error’s are about? I do get the same error..what’s wrong? Is this working with Orangepi One ? It only works on the terminal, when I try to do it with the LCD it wont work and I don´t know why. Im using a 1602A LCD, not sure if that`s the problem. I am getting the error ¨Data not good, skip¨ while programming with C. Can anyone help me solve this problem? That message appears when the sensor can’t read the tempeture & humidity, it´s not a programming error, something must be wrong with your sensor. This is normal, I get the same message occasionally. It just means that one of the data transmissions was bad. The sensor should continue outputting data after a second or so. Did you get your data not good, skip issue? That’s all I am getting for output. I have tried two different sensors now. Hi. Thanks for the tutorial. got it working. i want to get more accurate than 1 degree +/- so will have a fiddle with the print line. cheers! May I know which file should I run after executing “sudo python setup.py install” command??? You can copy the text in Geany en then save as “TempHum.sh” and then execute. So, the C code works… the Python one does not. At the end, it worked. Thing is, I have it on a Raspberry Pi 3, where it works without root, and in a Raspberry Pi 2, where it only works with root. I am not sure what I am doing wrong. I remember reading that the GPIO on the Pi 3 no longer required root. Maybe this is why. I´m using DHT22, should I change anything in this C code? Do you have any suggestions? hi, thanks for this tutorial i learned a lot about raspberry pi. dear circuit basic , do you have a tutorial about RFM12B transciever module or do you have some suggestion about rfm12b how to set up ? Getting below error when trying to run LCD script, can anyone help? /usr/local/lib/python2.7/dist-packages/RPLCD/lcd.py:213: RuntimeWarning: This channel is already in use, continuing anyway. Use GPIO.setwarnings(False) to disable warnings. Amazing tutorial I learned a lot with it. I am not very familiar with developing codes but I am trying to integrate this with my zabbix Network Monitoring system. Instead of infinite loop the measures, how can I read and present just one measure. Thanks for the great tutorial and any help is welcome. I had this same error and my fix was just where I ran the Python script from. I placed my Python script inside the Adafruit_Python_DHT directory and I got the same error you are describing. I copied the script to the directory above it (cp name.py ..), and ran it from that directory, and the script worked perfect. Did this ever work. I Am getting the similar error. Please let me know, how solved this? Have the same problem, did you find any solution? Same error here. Did you get past this? Ok finally got past this. The jumper wire shipped with sensor was faulty so the GPIO read was failing. Started with checking colleague’s LED sensors to work with my PI which when worked tried DHT11 with colleague’s PI which when worked then switched wires and tried with my PI! You may want to check wiring and sensor. The code is just fine. Works for me! Rocking the python code! Tnxz! i got error in #!/usr/bin/python ….what should i do? 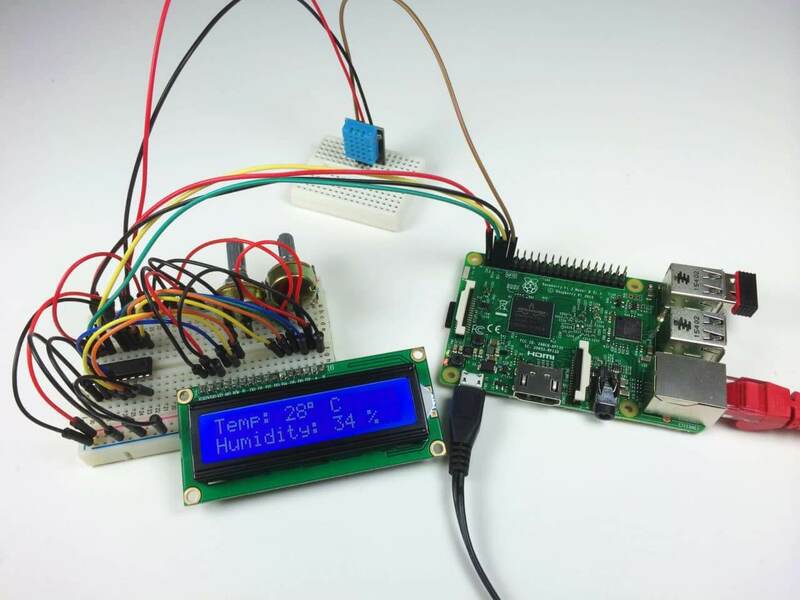 and this script is working and can see information on screen but for me is important to make temperature and humidity so i can have thermometer in my 3d printer enclosure..
#raspberrypi #diy ordered me a few more bits so I can do this ? You make my day, thanks a lot guys! The first argument to read_retry (the first number in parentheses) HAS to be 11 in this case (it refers to the type of sensor – DHT11). May I ask about what does (11,4) is referring to? I am thinking that it is the GPIO Addreess but it’s not. I guess. Could somebody lend their ideas? Thank you and more power. 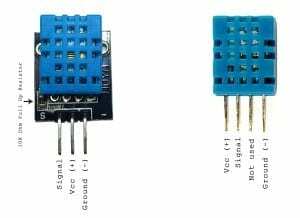 Here 11 is the temperature sensor name you are using like here it’s DHT11 and the 4 is the GPIO address pin that you connect to the sensor. try to replace line print …. with print (temperature) so you can understand if you receive data. Hi guys. I have a dth11 sensor with 3 pins as shown in the post. I made the correct connections. But the Vcc and GND wires start to burn and the plastic insulation begins to melt. I double checked the gpio Vcc supply pin and GND pin with a multimeter and it’s showing 5V. Any idea what went wrong? it happned also to me, maybe you invert that two pin. Vcc has to go to + or 5v and gnd has to go to ground. According to the DHT11 datasheet, power supply can be 3 to 5.5V, so it should work at 3.3V as well. Is there another reason for this design choice? I think this is a great point! I am going to use the 3.3V pin on the Pi to power mine. Otherwise the serial signal line from the sensor will swing up to 5V, and the Pi GPIO pins are not 5V tolerant. Maybe a really stupid question but better asked. When looking at the c program I see use wiringpi PIN numbers. When I look at wiringpi documentation pin 25 doesn’t exist. In the video it says GPIO 26 pin 37??? It looks like wiringpi uses its own set of numbers – it’s not the BCM GPIO numbering, and it’s not physical pin numbering (although it can support these two as well). Hmm,,,, still don’t get it fully. I found this link at that site. But there is no wiringpi number above 20? hi, Thanks for the tutorial. Excellent. i am getting the o/p as shown below,can someone help me whats wrong in the code? It’s a stray character from the editor you used for the code. Did you by any chance copy/paste the code (including some smart quotes)? In my case, the issue was related to the fact that the default Python interpreter is Python2, but my Python code was set to use Python3. I just had to to “python3 setup.py install” when setting up the Adafruit DHT library, to make sure that it gets installed under the correct interpreter. You have a line that says “from . import Raspberry_Pi_Driver as driver”. Do you actually have that “Raspberry_Pi_Driver.py” file? i did follow all of the method, twice but had the same result… That Pi Driver file threw me a curve ball as I cant find one on the pi and cant find what it is to locate one. Im going to throw some more time at this through this week so if you have any suggestions I would be most grateful. Hello and greetings from Boston, MA. THANK YOU, THANK YOU, THANK YOU!!! Sketch uses 6900 bytes (2%) of program storage space. Maximum is 253952 bytes. Global variables use 318 bytes (3%) of dynamic memory, leaving 7874 bytes for local variables. Maximum is 8192 bytes. See above my previous comment (the one posted on October 30). Try doing a “sudo pip3 install RPLCD”, then try running your program again. Will try that later today. I would like to try this little project as my first one in this new hobby. But I didn’t see what you use to complet your projet. I know you have a raspberry pi (obviously) and a DHT11 (or 22) sensor, projects boards, but what else? I would like to know what kind of raspberry pi can we use to build this thing up? (previous versions of pi are usually sold bit cheap than the new version). what kind of LCD you have used? What is the capacity of the SDMicro card I need to have? And what OS should I use / boot on this card? @boubou – I will try to answer all of your questions. 2) Any Raspberry Pi will do. 3) The LCD used is a generic “1602” (16×2, or 16 characters/2 lines). 5) I would recommend using NOOBS or Raspbian (the two “official” OSs for Raspberry Pi). IIRC, any microSD card of more than 2 GB will work. 6) The “big golden round things” are variable resistors (potentiometers). He’s using them to control the brightness and contrast of the LCD screen. Well I will buy an old version of the pi (Raspberry Pi Model A+ 512MB RAM). As I said, less expansive than the newer one. well, I will love to see what going one with the temperature and humidity … so the LCD screen should be good for me. My question is: with this set up, can we record the datas? I don’t need to see far away back … but if I can see what was the temperature / humidity couple days ago I will be glad (it a projet for my “cheese cave”). That is why I asked for the capacity of the card. Do you know what kind of PCB I will need? I found a 5 X 7 cm. will it be enough? I didn’t know we needed potentiometers to control the brightness and contrast of the LCD screen. Tought we can do it with “on screen control”. I will see if I need one or not. (it may not be necessary for my project). Yes it new for me … but I already read a little bit on this sujet. Like you suggest, I readed some kind of magazines (like the magpi, Raspberry Pi For Beginners or for kids). I may not read it all, but I think I got the picture. The hardest part for me will certainly be the programming section wish I’m completly new to this and never code anything. But with this kind of project I think I will be able to learn. You can record them, but you will need to write your own code for that. And decide on how to do that (log to a text file? to a database?). Also, you will need to write your own code to clean up old data. And your own code to recall and display previous values. The capacity of the card doesn’t really matter – since you’re only storing a few bytes of text for each entry, you can store many years’ worth of data in a single GB :) . For the PCB I recommend the pre-drilled kind – the size depends only on how close you want (and can :) ) solder everything together. As for the LCD, the potentiometers are required. 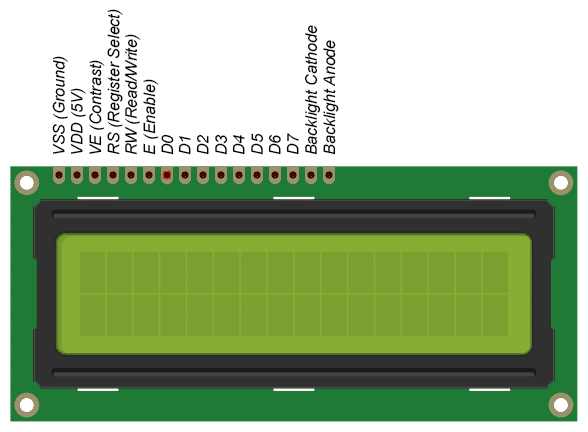 I would recommend you to also have a look at the I2C version of the LCDs – basically the same type of screen, but with an I2C “backpack”/”shield” already connected. That shield includes the potentiometers, and allows you to talk to the LCD by using only 4 wires. 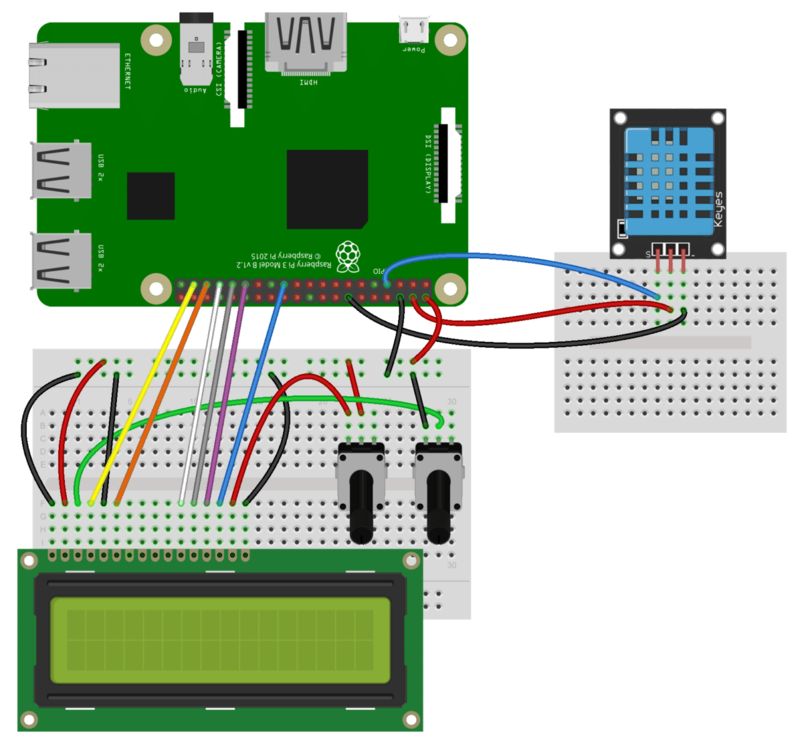 However, the code will look a bit different – google for “raspberry pi i2c lcd”, and you will find plenty of examples. If you google a bit there is code and setup to write the values to a google spreadsheet. Easy from there to export to Excel or anything else. Hi, Thanks for the tutorial. It’s really excellent. The python code works on the terminal. When I try to do it with the LCD it won’t work. I’m using a 1602 LCD, but I think it’s not the problem. My RPi.GPIO version is 0.6.3. I hope that this can help you to solve my problem. I’m sorry that I’m not really good at English. Thanks for the tutorial again. This is the best tutorial I have seen. I might add that this is a cheap module that I bought on ebay, maybe something is wrong? Managed to solve it, had to increase the delay from 1 micro second to 2 micro seconds. I was facing the same issue of “Data not good, skip” messages and not even one proper reading appearing. Increasing delay to 2 microseconds (even 3 microseconds) has fixed this issue. Thanks a ton Baxtex, for your suggestion. How the heck do you read digital input for that sensor? Raspberry doesn’t have any digital or analog output. Well, I have strange problem… I can’t get input for any sensors. I have a RaspberryPi 3 B, https://www.ebay.com/itm/DHT11-Digital-Temperature-and-Humidity-Sensor-Module-for-Raspberry-Pi-Arduino-/290960723731, https://www.ebay.com/itm/LCD-1602A-16×2-Zeichen-Display-Blau-Schwarz-HD44780-LCD1602-Arduino-Raspberry/142613981942?hash=item213474aaf6:g:rY4AAOSwAHBaJQfg, https://www.ebay.com/itm/Freenove-Gas-Sensor-Board-for-Arduino-Raspberry-Pi-3-3V-5V/302027776550?hash=item4652422226:g:BIEAAOSw0fhXli9a and https://www.sparkfun.com/products/11769 . I’m using Raspbian as OS and all I can do is to turn on and off leds… nothing more. I tried to get input for all sensors mentioned above, but I can’t get from any of them. I did every step mentioned above in the tutorial (with the C part) but still no result. I never worked with Raspberry, this is my first time… but it’s not like I don’t know what I do. I have basic knowledge about Ardunio and it’s pretty same thing. The interesting part is that all of my sensors work on Arduino but not on Raspberry… after one day of research, my only theory is that I need a sensor shield to be able to get input from my sensors. But again, in your tutorial there is nothing mentioned about this. You _really_ need to provide more details… What is connected to the pin that you are reading? If it is the DHT11 sensor, you don’t simply read the pin – read the datasheet (or the code in the article above) to see what you need to send, and what the sensor sends back to you on that pin. Well I have the + to PIN 2, – to PIN 9 and OUT to pin 7. That’s all… The code should do the magic, but seems like it does not. I read the datasheet and I understod that input from sensor is actually a message formed by 5 bytes and all the other details, nothing too fancy… the main problem is that every single bit from my message is equal to 1. 2) What type of DHT11 do you have (3-pin, or 4-pin)? Do you have a pullup resistor in place? 3) Just in case, do you have another DHT11 you could test with? Yes, exactly the code from article. I have the 3 pin version. Sorry but I don’t know what is exactly a pullup resistor. There is only the sensor and the Raspberry. Nope, I don’t have another DHT11, but I know 100% that it’s working because I just tested it today on Arduino. I think it’s a configuration problem… I can’t get the LCD display working, neither the gas sensor. The raspberry it’s not broken neither, I have two of them and the problem is the same… also, I can turn on and off leds, and I also can get input from a button, but not from the sensors. The pull-up resistor should be a 10K resistor connected between Vcc (+5V) and the signal pin of the DHT. The 3-pin version should already have a pull-up resistor on the board (see the first picture of the 3-pin DHT sensor in the article above) – but I did have some 3-pin DHT sensors from China that were missing that resistor. However, if the sensor works on Arduino, this is probably NOT the issue. Right now, the only other advice I can give you is “double- and triple-check all your wiring”. Maybe also try with another GPIO pin, to make sure that is not the issue. Well, I think there are two resistors, but on the other side of the sensor, comparing to the image. My wiring is good, I tried to get input with the sensor disconnected… values were all 0. Right after I connected the sensor back, the values became all 1. 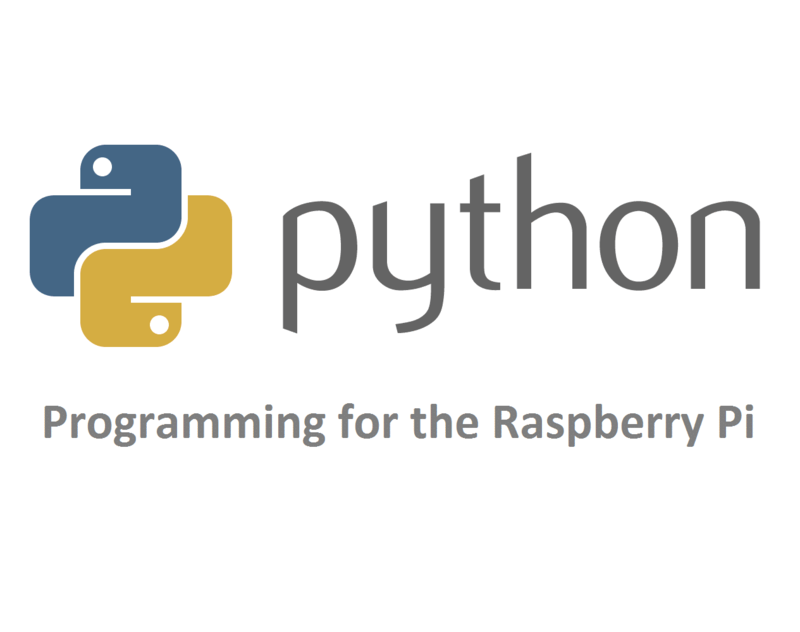 Long answer: you will need to read on how to send an email from python, and how to run a program at regular intervals. For the second part, you can run your program at startup and keep it running continuously (a “while True:” loop that simply sends the email, then sleeps for the desired time). Or, even better, you can run your program periodically using cron. I’m new at Pi3.I have a question. I see this below message. I have no idea what to do. Could someone tell me what is problem? This has been asked at least 4 times before (and answered). Please search the comments (Ctrl-F, and type “driver”, for example) – you will find possible solutions. How do I transfer this information to the mobile app? Is there a way to code this simply so it shows live on the android app? Correct me if I did a stupid mistake, thank you! As the output tells you, the error has nothing to do with the DHT11. The error is on the “lcd” line. You are missing the equal sign (=) after pins_data, and this creates a function call that is invalid in Python (if you are curious why, look up “keyword arguments”, and you will see that all non-keyword arguments must occur _before_ any keyword argument). How do i connect 3 DHT11? I’m having a problem in getting the C program to run (on terminal). It only shows “Data not good, skip” and I never get a valid reading. I tested the Python version and it runs without any issues with the same wiring. In this case I entered BCM pin number 26 which corresponds to wiringPi pin 25. So I guess my jumper cable wiring is correct and my GPIOs are still functional. changing “counter > 16” to “counter > 50” solved the issue. to download it again and then the sudo python setup.py install command and then everything worked fine. Have a good one and keep up the good work here!! is there any solution for that ? Or does anyone has the same problem with this ? I tried doing the project the sensor started heating up and after I unplugged the 3.3 V the pi restarted. IS the sensor supposed to heat up?? Thank you so much for the detailed explanation. I have it working on my SSH terminal. For the next step I would like to see t he value come up in Cayenne. There are very few videos out there about this and not very clear. 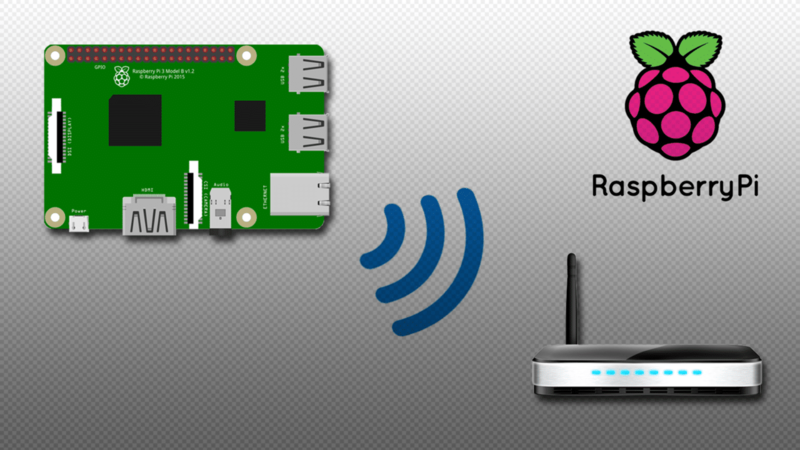 I am using a Rasperry Pi3 B+. 3> Message — remote : Repository not found. hello my beloved tutorial i want to ask you one question. Can i add more sensor(MQ2) and buzzer in your library? I have the 4 pin version of the DHT11. I running Python 3.5 on a RPi 3B+ . Running the sample Python code that outputs to the shell, I get: “Temp: 1.0 C Humidity: 0.0 %” repeatedly regardless of the temp or humidity. Any ideas? Thanks. I was running the code as if I had a DHT11. In fact I have a DHT22. Do you know any way to get this to show up in the Homebridge app? Thanks for this article. Do you have a tutorial that explains how to best wire and protect these bench/breadboard configurations for the field?